Pure Nutrition + Wellness LLC and Essential Calming Solutions LLC are partnering to bring you a free, timely and informative Introduction to Stress Management Seminar! Seating is limited, so please let us know that you plan to attend as soon as possible. Bring a friend, and be entered into a drawing to win a door prize! We’re so excited about sharing this empowering information with you. There are a number of ways in which to cultivate a grateful attitude in our lives…from keeping a gratitude journal, which we discussed previously, to writing thank you notes, and more. Read about a variety of practical ways to cultivate gratitude here. What if there were a simple practice that could potentially help you sleep better, experience a more optimistic outlook, and even feel more deeply connected to the people around you? Research suggests that keeping a gratitude journal has the potential for a number of physical, psychological and social benefits. Read more about this here. A gratitude journal is a place to keep a record of the benefits, experiences, and gifts that you experience on a daily basis. Another way of expressing this concept is “counting our blessings”. When we take a few minutes each day to write down the highlights of our day and reflect on them, we are cultivating a deeper sense of awareness and gratitude. Over the past few posts, we’ve explored a lot of different areas to help you create a healthy relationship with food. We’ve covered ways you can indulge healthfully, how to redefine comfort food, how and when to reset yourself, and how to prepare for food-centered events. Mantras to use in order to focus your mindset when needed. How to identify foods which are not ideal for you and know when a less than ideal food is worth it for you to indulge in. And which foods to eliminate when creating your own reset plan. It’s now up to you to do the work and make the changes you need to in order to feel your best. 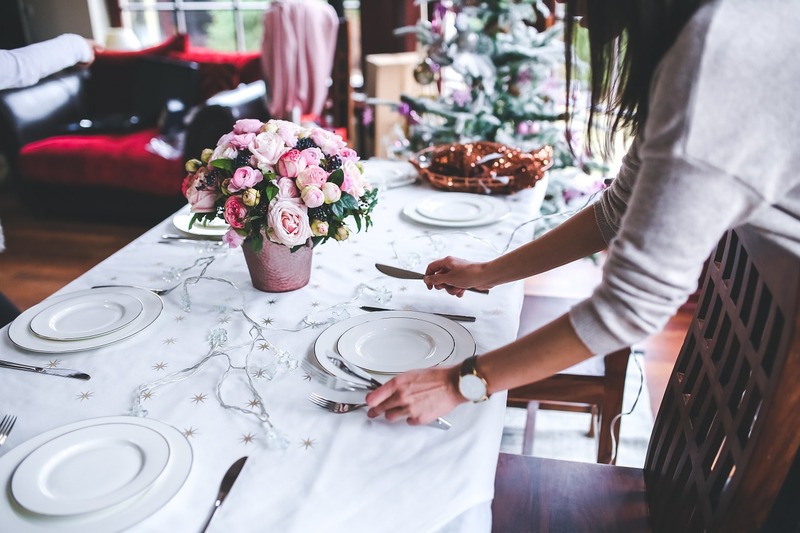 Throughout this series on establishing a healthy relationship with food, I’ve discussed ways to indulge this holiday season, how to prepare for a holiday gathering, and how to reset yourself. Today, I want to focus on another piece to a healthy relationship with food: finding out why you are drawn to a particular food at a particular time. How often have we called ice cream a comfort food? Is it because you’ve reached for it when you were having a bad day? Is it because of the sentiment surrounding it, or a memory from when you went through a rough patch, or did your parents give it to you as a child when you were feeling blue? The time in-between holidays can be one of uncertainty around food. There are often many parties and functions to attend with lots of temptations which could potentially throw you off your healthy eating plan. Instead of trying to navigate each one independently, put a plan into action to cover your bases no matter what type of situation you’re faced with this holiday season. This type of plan is called a Reset, and there are several ways you can do one. We recommend signing up for the Pure Reset Diet because it is a fully-formatted plan with recipes and shopping lists to help you get started and stay on course. You can also create a Reset plan with your own guidelines if you’d like. This is the second part in a series on healthy eating this holiday season. With big family dinners and holiday parties right around the corner, it’s good to get a handle on how you feel about your eating habits. Do you find yourself having trouble saying no to what’s offered? Are you taunted by the cravings you have? Is it difficult for you to slow down and enjoy the food? Do you feel guilty for eating certain things? If any of these sound familiar, it’s time to get some clarity on your thoughts and feelings. Understanding how you feel surrounding a meal can help you get into a better headspace before you actually begin eating. Here are a few things to get you started. If you know the menu ahead of time, review it and make a mental note of which foods you’re genuinely excited to eat. Maybe it’s a new food on the table, or maybe it’s your favorite pie which Grandma makes each year. Also, take note of the foods you’re a little hesitant about, whether they don’t seem too appealing, or they are foods you’ve eaten previously which have left you feeling less than ideal. Make a plan for your plate after you’ve assessed what’s going to be offered. You have to determine what is a healthy choice and what isn’t. In this case, healthy doesn’t just apply to the nutrient-density of it. It also means you have a healthy emotional response to the food. It means you still feel in control of your choices, while also feeling satisfied. I do not encourage you to forego foods because you feel they are “bad.” Instead, determine which foods are going to make you feel the best, physically and emotionally, and focus on them. These are not “good” foods, but rather they are foods that won’t cause an adverse reaction for you (beating yourself up, feeling guilty, leading to overindulging, etc.). Also, decide which foods are absolutely worth it. Some foods may only be made once a year and they are truly a family tradition. Remind yourself of that when you’re at the front of the food line or when the bread basket is being passed around the table. Serve yourself a smaller portion of your aunt’s strange cranberry relish because you’re planning to have grandma’s pecan pie for dessert. It’s equally as important to notice how others around you are eating because we tend to eat similarly to our table-mates. Are they eating slowly and mindfully? Or are they rushing through the meal barely chewing? It’s sometimes hard to pace ourselves when everyone around us is eating in a hurried manner. Do your best to take a break in between bites, chew your food slowly and thoughtfully, and pause your eating to converse with others at the table. If you’ve ever felt out of control when it comes to eating anything, it’s very important to admit that and honor it. Decide that you will do better this time and create a mantra for yourself which you can say at anytime under your breath in order for you to feel confident going through the food line or the meal in general. 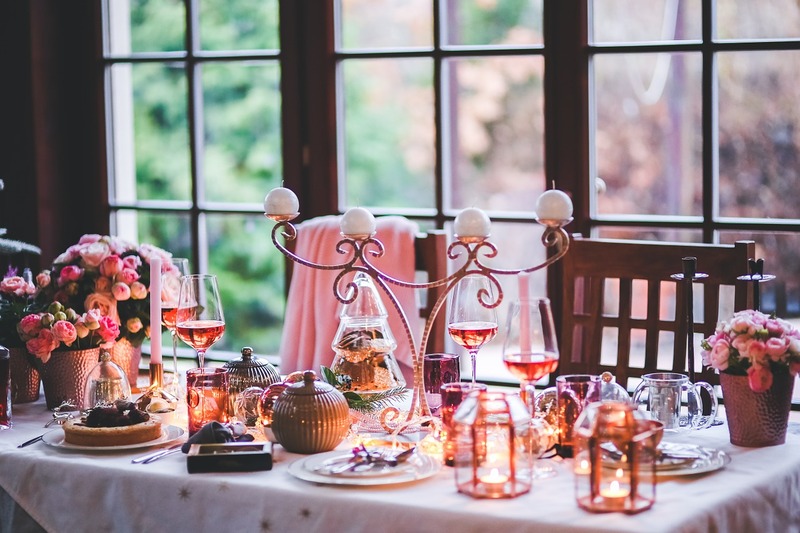 Hopefully these mantras and tips will help you navigate your next food-centered gathering. We’re here to help you create a healthy relationship with food. Contact Pure Nutrition + Wellness at frontdesk@purenwell.com or call 844-787-3935 to get started. It’s no secret that the holidays are a time to enjoy food. From traditional recipes to the never-ending candy dish at work, there are a multitude of ways you can indulge throughout the holiday season. 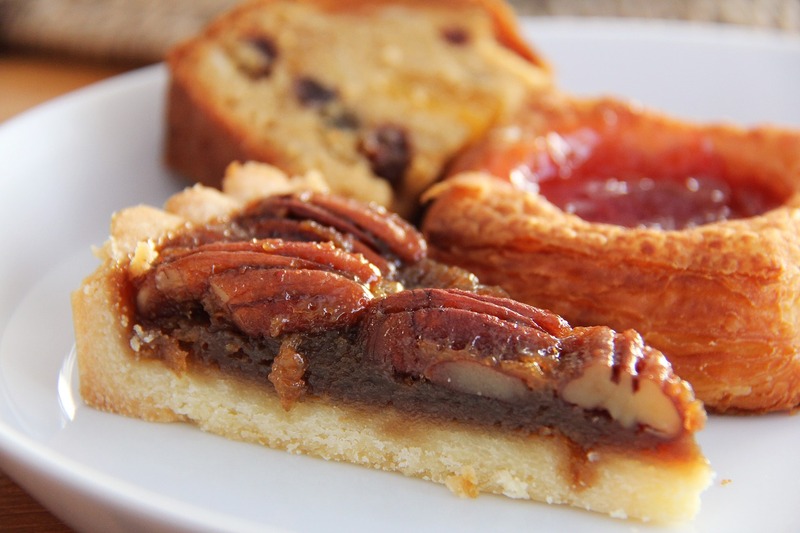 Is there a healthy way to indulge in your favorite treats? Maybe, but only you can decide that. Healthy eating isn’t only about consuming nutrient-rich foods. It’s also about creating a healthy mindset and relationship with food. Ask yourself: Does one indulgence lead to another and another? Or do you truly feel like you can indulge and then move on? There’s a reason sports teams have cheerleaders rooting for them – the athletes are doing tough work on the field and could use all the support they can get! The crowd plays a huge role in giving encouragement as well. It’s not so different when you’re changing your lifestyle and eating habits. Many people “fall off the wagon” with their healthy eating habits because they don’t have anyone supporting them through the change. People can sometimes have trouble holding themselves accountable, but find it easy to stick to their healthy habits when someone is checking in on them. The other night I heard Keith Urban tell a young singer on American Idol that there is no substitute for hard work. He was referencing that if you want to see change, improvement, or dreams come true, it won’t happen without hard work. I found this very applicable to what most people do when they set New Year’s resolutions. How many times do we say we will lose weight, stress less, or get healthy…only to be left with the same resolutions still unrealized the next new year?